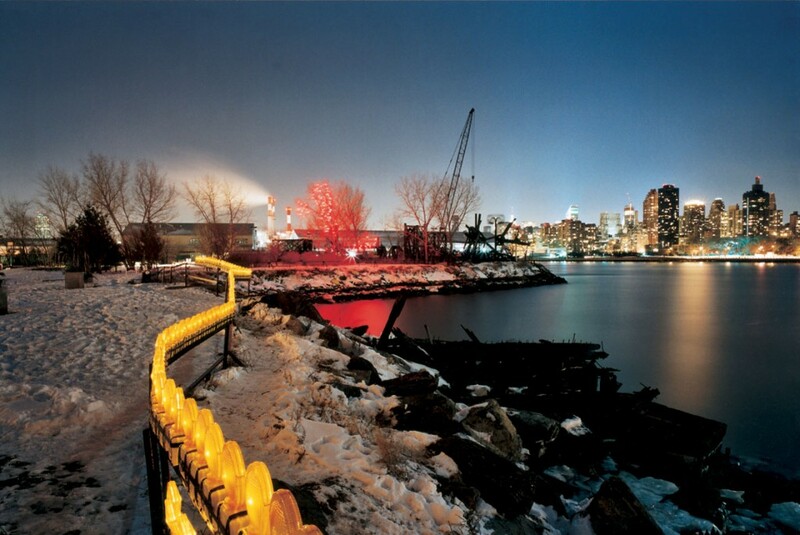 Socrates Sculpture Park is pleased to announce Winter Light, a new annual series of light-based installations in the Park. This project, which has been in development for over two years, will feature artworks to be illuminated on evenings in December, January and February. During these winter months, when the Park’s gates close for the early sunset and the sky darkens in the afternoon, Socrates will continue to have a presence — brightening the sky and illuminating the Western Queens waterfront. Winter Light presents works that will become a part of the landscape — viewable from points in the immediate area around the Park and across the East River on Roosevelt Island and the Upper East Side of Manhattan. Leo Villareal will present the first project in the Winter Light series, which will be exhibited during the month of December 2003. 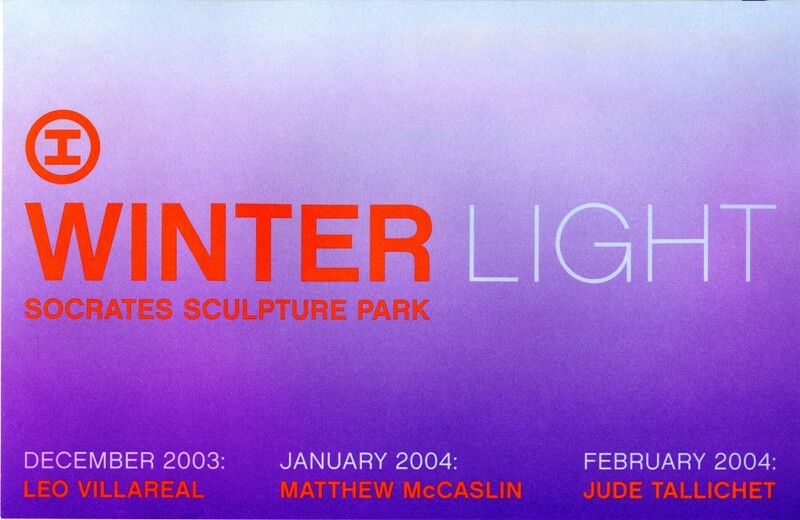 Matthew McCaslin’s work will be on view in January 2004, and Jude Tallichet’s in February 2004. Winter Light has been made possible through the generous support of the Oscar M. Ruebhausen Commission of The Greenwall Foundation.